The Bahamas offer one of the finest cruising areas in the world and they are only one day’s cruise from South Florida. 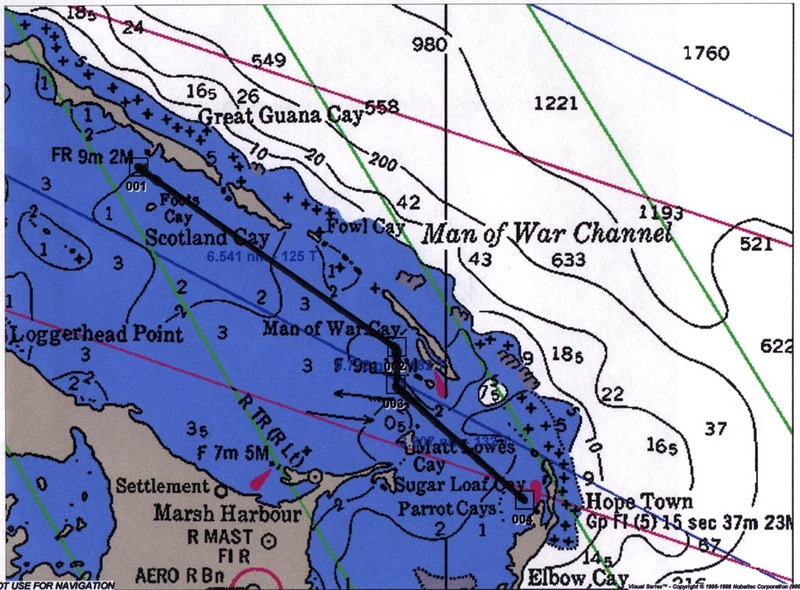 The Bahama's chain consists of 700 islands and cays covering over 100,000 square miles. Large banks of sand reach from island to island-forming groups, Abacos, Berry islands, Eleuthera and the Exumas. Of all of the many groupings these four are the most preferred by cruisers. The Abacos offers the first time boating visitor the best exposure w ithout the larger open water experiences. Whatever destination you choose a set of charts and a guide book is a must. 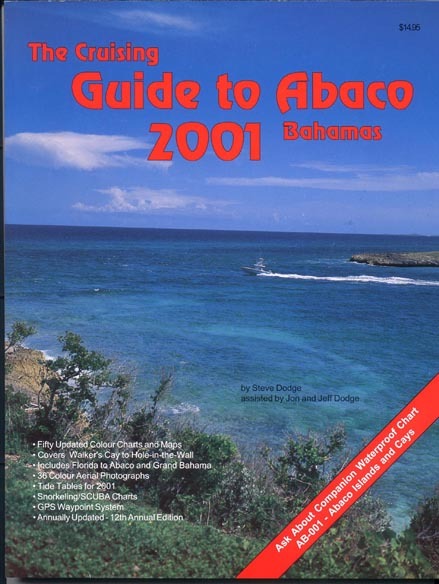 This is an excellent guide to the Abacos and with the waterproof chart you will have up to date information. IMPORTANT: Always read the disclaimer in the front of the guide. Mother Nature changes things around faster than the charts are revised, and Sand bars move and markers disappear. Visual navigation is a must in the Bahamas and way points can not always be trusted. 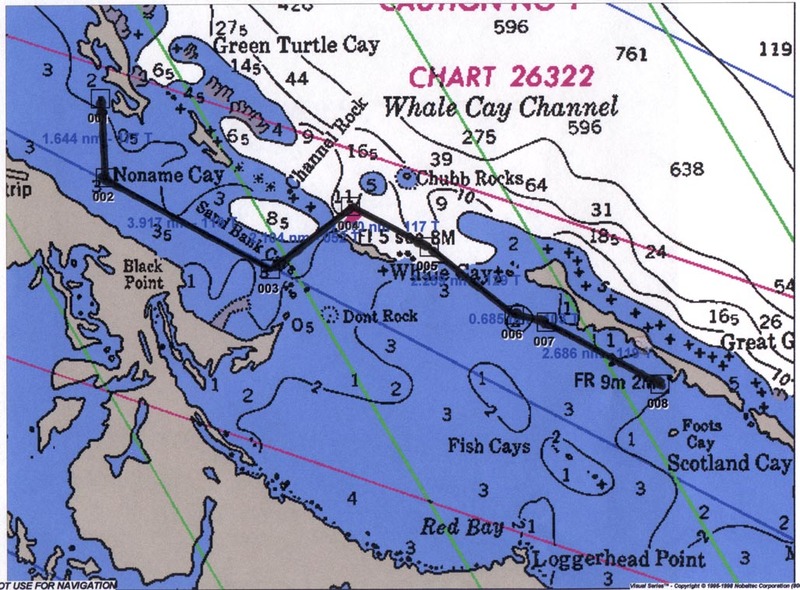 The cruising guide 2001 covers current tide charts, anchorages, GPS Waypoints and offers all sorts of help to the first time boater. There are a number of different trip plans when planning your cruise to the Abacos and we each have different interests, fishing, diving, restaurants, marinas and just plain sightseeing. You might want to plan on being in the Abacos at Regatta Time. There's a party every night at a different location. Race starts July 4. Hope to see you there! I've put together a typical two-week Abacos cruise plan that can be adapted to meet your interests. Links are listed after most of the destinations so that you can check out the island. Our sailing club followed this itinerary for our 2001 cruise. Check it out on the HISC page. Boats gather at departure point Hillsboro or Ft. Lauderdale to depart the inlet at 4 AM. 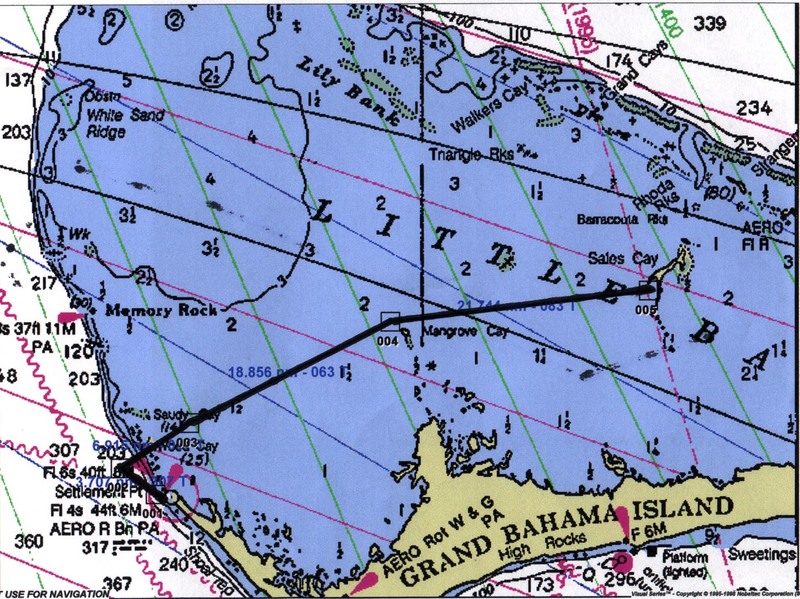 Motor and/or sail to West End Grand Bahama Island. Estimated time of arrival West End from 1 to 4 PM depending on wind and sea conditions. This prediction is based on boats with a normal 5 to 6 kts. speed. At West End, check in and clear customs, then you can stay in the new marina or anchor out. The new Old Bahama's Bay is a new development at West End. It is an official point of entry with a new 72 slip marina. Leave early in the morning by the entrance NE of Indian Cay leading on to the Little Bahama bank. The channel is reported to carry 5 ft. MLW. Boats drawing 5 ft. or more should consider going to Memory Rock to enter the bank. 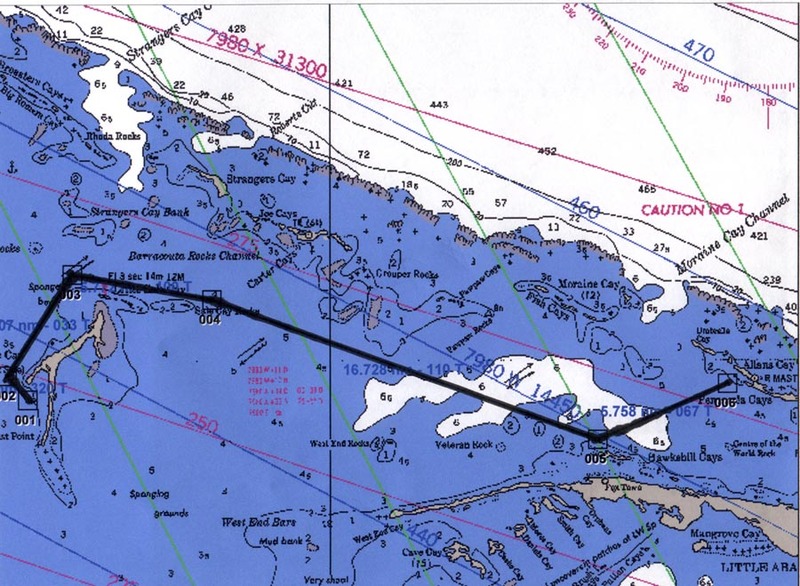 Once you past the Barracuda shoal marker, the route is around Mangrove cay over to Great Sale Cay west anchorage a distance of 44 NM. Leave early and sail the ten miles down to Spanish. Cay Stay in the marina or anchor out. Take a walking tour of the island and you may want to try dinner on the north side overlooking the ocean. Check with dock master for reservations. It is a nice 15 NM sail down to Green Turtle Cay and the anchorage off New Plymouth. Brendal's Dive Center right next to the Green Turtle Club. He takes people out diving, snorkeling and a beach picnic that is the BEST. Spend the day sightseeing relaxing and maybe checking out the nightlife. With weather permitting, set sail for Great Guana Cay. This ten-mile run out in the ocean around Whale Cay means you leave the comfort of the bank for an hour to bypass a shallow sand bar. 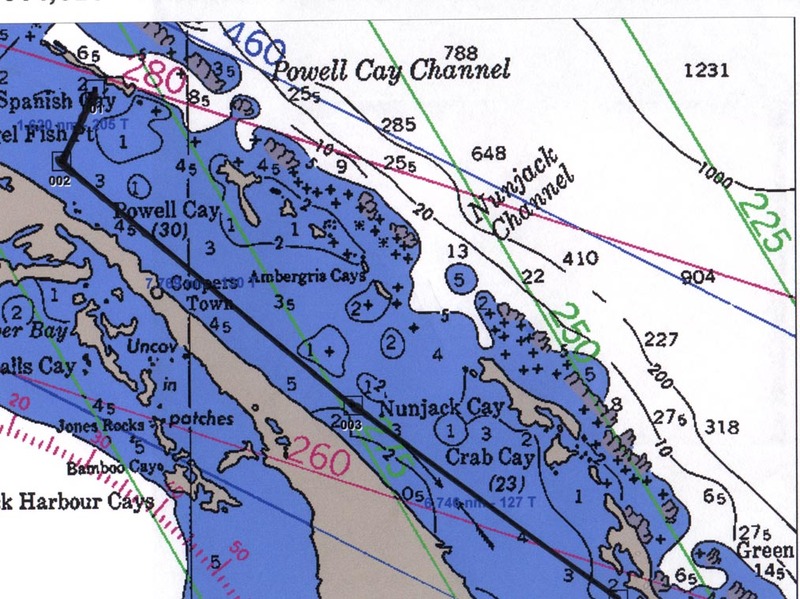 There are several anchorages at Great Guana. The one to the west is more private. Further down the island is the settlement. The anchorage west of Delia’a cay has more room and better access to the resort dingy dock. 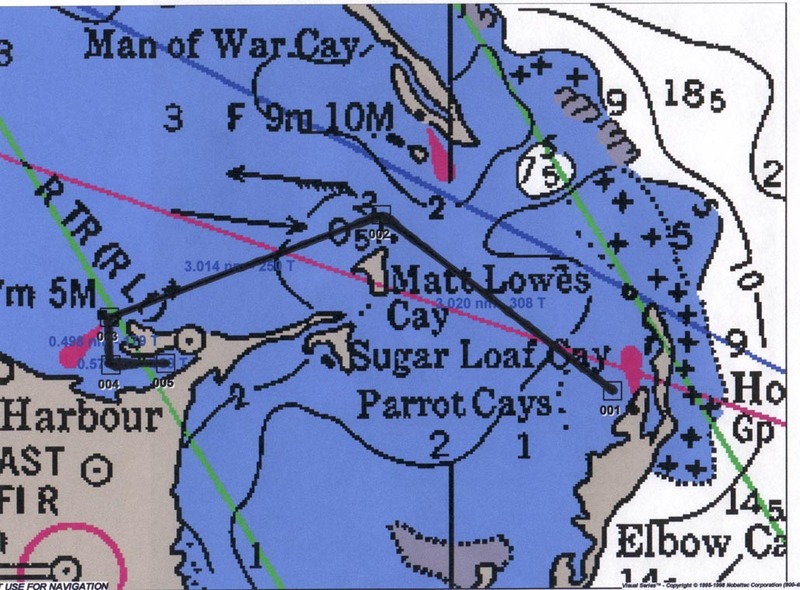 Leave early as it’s a 9 NM run down to Man O'War Cay and if its not too hot it's a good idea to go into the harbor. In the summer with no breeze, you may want to anchor off Old Scopley’s Rocks. After lunch, it's only a 5 NM run to Hopetown. The anchorage off shore west of town has more room and is cooler. There are a few mooring balls in the harbor. Leave early for Marsh harbor a 10 NM run. Stop at the fuel dock to get fuel and water. Anchor out as there is plenty of room. You might want to replenish your supplies in Marsh harbor for the return trip. You did a lot of motoring to get here and if you are lucky, the wind will help you going back. 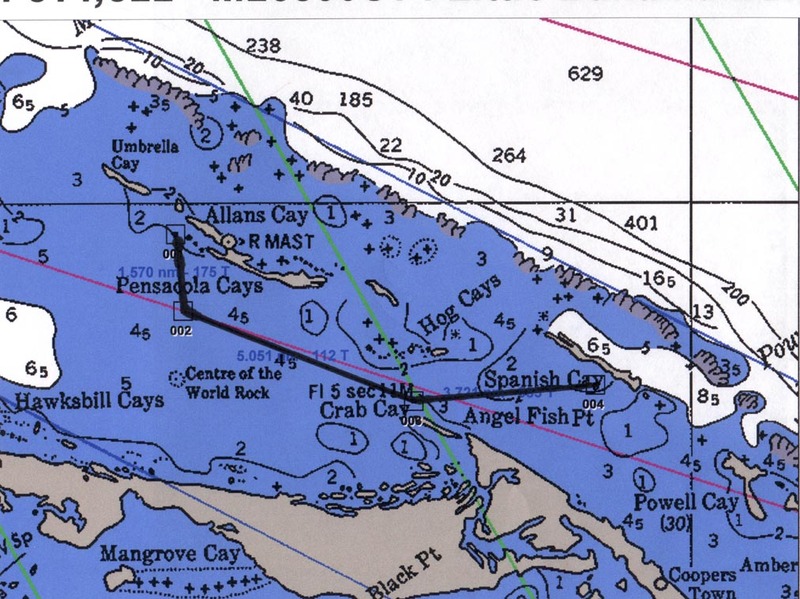 Leave Marsh Harbor early for Powell Cay a 36 NM run. Day 11 Leave Powell early for Great Sale Cay 48 NM. Day 12 Sail to West End and prepare for crossing next day. The easiest route home is direct to Lake Worth inlet and then spending the night before heading home on the fourteenth day.